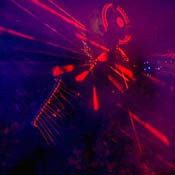 Opening with Get On Your Boots and closing with Moment of Surrender, both from 2009's No Line On The Horizon, U2360° At The Rose Bowl captures a unique live show where 23 songs capture the story of the band's entire story. 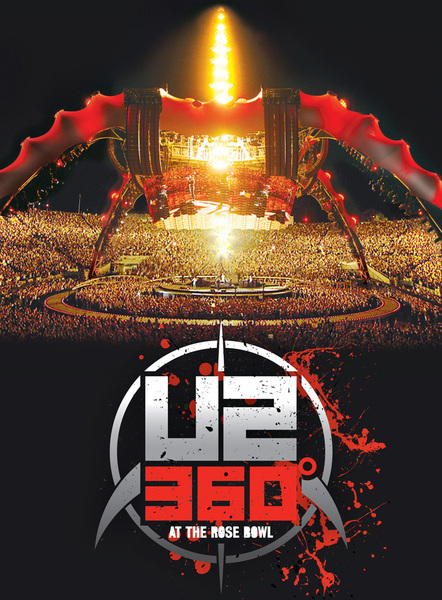 Released on DVD and Blu-ray in the UK by Mercury Records on June 7, 2010, and in the US by Interscope Records on June 3, 2010, the show was the penultimate gig of 2009's U2360°, the band's biggest show of 2009 and biggest ever US show, with a live audience in excess of 97,000. 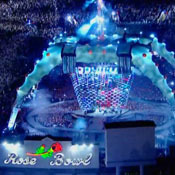 Available in standard and 2 disc deluxe DVD formats, U2360° At The Rose Bowl is also U2's first concert available in Blu-ray. 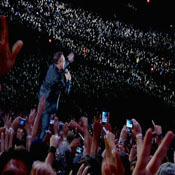 The deluxe formats and the Blu-ray feature a documentary called Squaring the Circle: Creating U2360°, including interviews with U2, Paul McGuinness and the team behind the touring production.